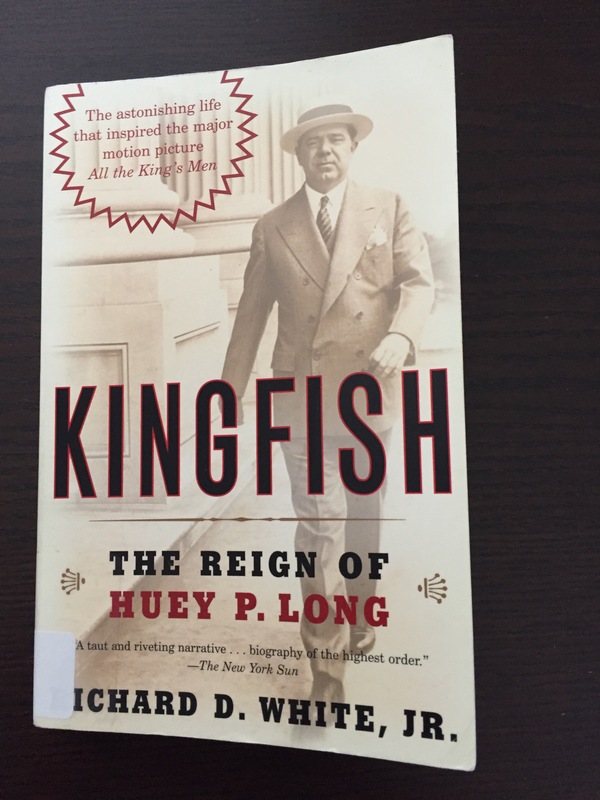 I’m reading a biography right now of Huey Long, a Louisiana politician, who has become relatively unknown in the decades since his violent death in the 1930’s. But Long’s life and his obsession with power is a cautionary tale that should be told to each succeeding generation. By some measures the decade of the 1930’s was one of the closest times the United States came to a fascist dictatorship. And at the center of it stood Huey Long. Long was born on August 30, 1893 in rural Louisiana. In his short 42 years until he was assassinated in September 1935 on the steps of the state capital in Baton Rouge, Long had a meteoric rise to power. In 1929 he became governor, then a US senator who dazzled and stunned the nation with his rhetoric and plans for a national redistribution of wealth. In the same year of 1933 when the leader of a party in Germany called the National Socialists was elected to power, Huey Long was at the height of his power over Louisiana. Shuttling between D.C. and his home state, he ruled through a yes-man governor while planning bigger things on the national stage. It was an ominous time in Europe as Hitler came to power in 1933, and Mussolini in Italy creating his own version of a Fascist state. In the United States the America First movement began to grow in the early 1930’s under the leadership of Henry Ford and Charles Lindbergh. Huey Long by 1935 had declared his desire to run for President, after breaking bitterly from President Franklin Roosevelt. Long had joined up with Rev. Gerald Smith, a strong anti-Semite who would be deeply dedicated to him until the day of his death. Smith would go on to have a crucial role in the America First movement as a mouthpiece in many meetings and on the radio. These were ominous times in the world, and Huey Long was as scary a leader as they come. What would have happened if he had lived? Would he have run against FDR in the Democratic primary for President in 1936? Most likely, as he had declared just a few months before he was shot that he was going to do so. Did he have a chance to defeat Roosevelt in 1936? Conventional wisdom says no, but when you read about Long’s fanatical energy and lust for power in his short career, it does seem possible. If defeated by Roosevelt in 1936, would he have run again in 1940, this time perhaps with the even stronger backing of Ford, Lindbergh and the America First movement? There have been scary times before the 1930’s in history, and certainly since. So far the US system has been strong and resilient against fascism and dictatorship. There have only been a handful of possibilities in US history when a leader could have turned the country down a road of dictatorship, even in a limited form. Huey Long in the 1930’s in my opinion was one of those potential times. We will never know what his future would have been had he lived. We must continue to be diligent today. The US democratic system with its checks and balances built into the constitution has served the country well for over 200 years. But we must guard carefully those checks and balances, and be forever wary of the disastrous effects of a craving for power by any leader at any level. Fascinating. I’ve not read or seen All the King’s Men, but intrigued much now. My sister was years ago an ADA in New Orleans, and visiting her I’d often go over the Huey P. Long bridge. I remember she referenced some of the chilling history of LA under his leadership. Today, I’m concerned that many of the most maniacal plots of some of the current highest-rated USA TV series, feels that it flows straight from the latest political tweets. Vigilance. Yes. And Kyrie Eleison. Thanks John, was really scary to read more about him. But I know he is admired in some of the South, and has a big statue in the state capital, not far from where he was shot. Yes, you are very right about the need for vigilance. Next Post How many refugees left their homes in the last minute?